Wonder Woman Review | Nerd Much? Step aside, Superman. 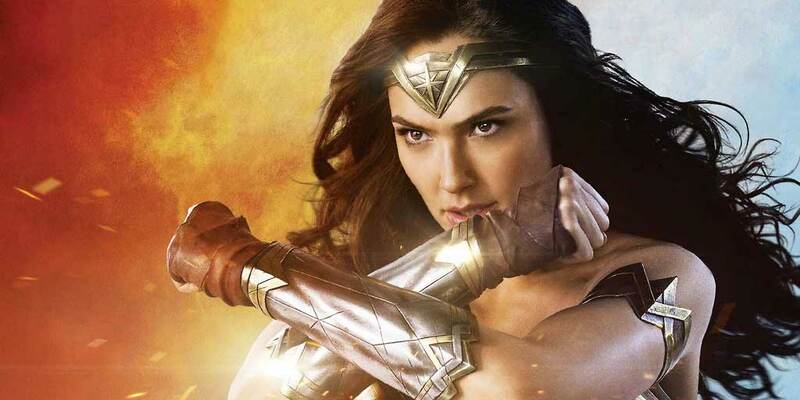 This summer, all eyes are on Wonder Woman as a symbol of hope — hope for humanity and hope for DC’s extended film universe. With the mixed results from the DCEU up to this point, the pressure is on for Wonder Woman to step up and right the course. Rest easy, because this is absolutely the film that gets that done. 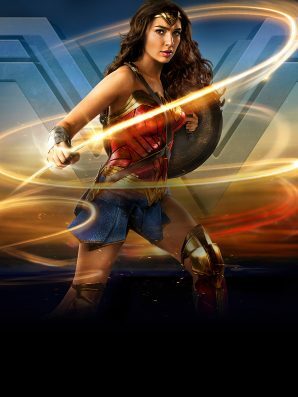 With remarkable character work and top-notch blockbuster excitement, Wonder Woman is the film that finally brings optimism and true heroism to the DCEU, giving us one of the most inspiring and exciting superhero films of the recent boom. Raised on the stories of the gods and the war over mankind, Princess Diana of Themyscira dreams of the day she can be the next great defender of mankind. When a WWI fighter plane crashes into the hidden waters of the island, she encounters her first man, Allied spy Steve Trevor, who warns the Amazonians of the great conflict happening in the outside world. Diana immediately recognizes the strife as the work of Ares, the god of war working in the shadows, and makes a pact with Trevor to leave the island and put an end to Ares’ horror. But confronted with some startling truths about humanity, Diana must choose where her loyalty lies and confront her destiny. Wonder Woman is a true hero’s journey tale featuring the type of earnest, non-cynical idol we have been missing in pop culture as of late. Simply getting this character on screen is a monumental achievement for so many fans and women in general alike, and director Patty Jenkins and DC film head Geoff Johns go above and beyond just lip service. 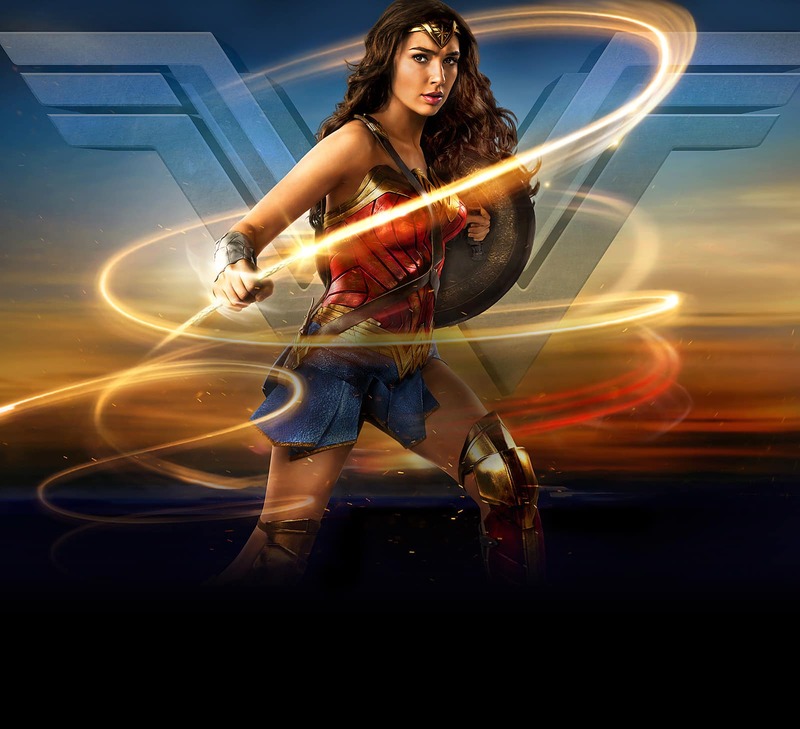 In correcting course on DC’s vision and bringing the unique comic book world of Wonder Woman to life, Jenkins and Johns continue utilizing the breathtaking visual palettes and stirring music previous DC films boasted while injecting Wonder Woman’s solo outing with some much-needed humor and a strong character arc. Gal Gadot is Diana and carries the film with grace and power. Her embodiment of heroism in the film is just the type of benchmark on what “good” is that needed to be established in this universe. Watching her grow over the course of the film is a joy, and is just the type of strong, solid character work these films were in need of. Chris Pine, meanwhile, does an admirable job with his Trevor’s flippant, sometimes bewildered exchanges and nicely compliments Diana’s fish-out-of-water antics. Fans who were turned off by the major angst of Batman v Superman (and, admittedly, most superhero films nowadays) will be delighted to know there is no time for whining here, as the meat of the film deftly jumps from Diana’s amusing interactions in the then-modern world to a handful of show-stopping action sequences. Wonder Woman‘s action sequences are always fun and sometimes stunning, thanks to the film’s instance to not cut it up in editing and show the work they have put in. Everything is there to take in and nothing is written to be cannibalized into a throwaway montage. Diana first stepping onto the battlefield into a hail of gunfire is the next iconic superhero moment to be put to screen, and opens an impressive sequence involving amazing lasso work and taking down an entire building. Helping out in the action department is Rupert Gregson-Williams’ score, which never quite reaches the lofty musical standard set by Hans Zimmer in this universe, but does provide some stirring musical moments that always manage to compliment the story on screen. Of course, the character’s epic music theme from BvS makes some notable appearances throughout and the film is all the better for it. Like so many blockbusters, Wonder Woman does lose a little bit of steam going into the third act. Events take a turn for the more dramatic and while it’s necessary to revisit the casualties of war, the film does ever-so-briefly start to drag. Things pick up, however, with the introduction of the true villain of the piece, setting up an exciting, if messy final conflict. Unfortunately, the actual reveal of said antagonist is a bit of a letdown. For most of the movie we had been following Danny Huston’s General Ludendorff and Elena Anaya’s creepy Doctor Poison as villains, both fine additions — and refreshing flesh and blood adversaries — but mainly used as background elements putting things into place for the reveal we can clearly see coming by the end. When it does happen, the handling of the reveal and casting choice feels off and the movie never completely reconciles that initial awkwardness, as we’re just given another mostly CGI character as a final boss. Still, Wonder Woman‘s strengths as a film feel far more substantial than its very common issues. This is the type of film that’s going to mean a lot to many different types of people. For fans of the character and her role in empowering women, this film will be a satisfying and long-awaited step into the limelight. For those hopeful for a turnaround in the DC film universe, this will be the film that shows that redemption is possible. And for those looking for excitement this summer season, Wonder Woman will be a worthy blockbuster and superhero entertainment that hits on both a visceral and emotional level.